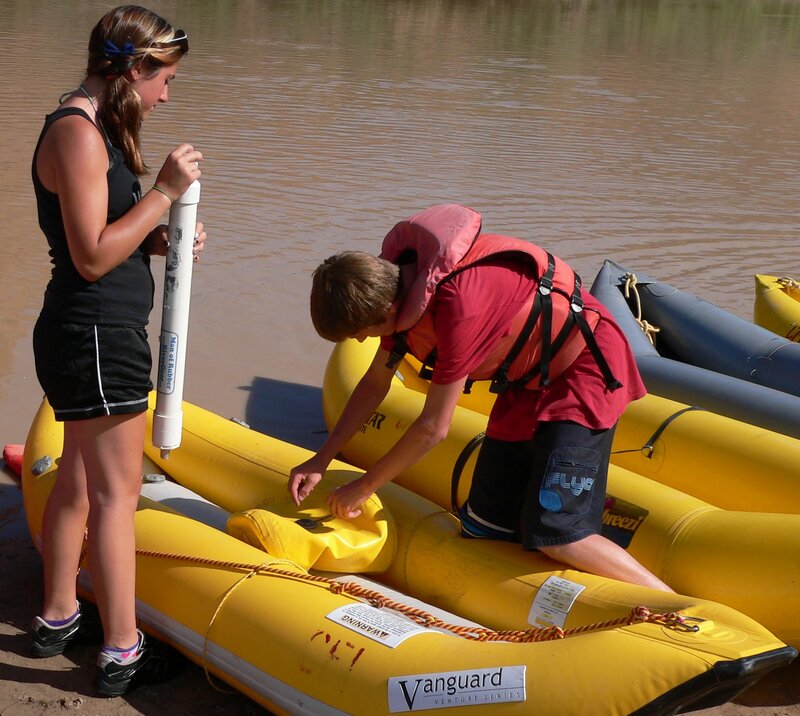 Creating the next generation of river rafters! 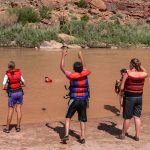 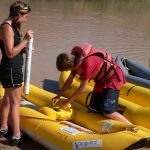 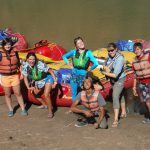 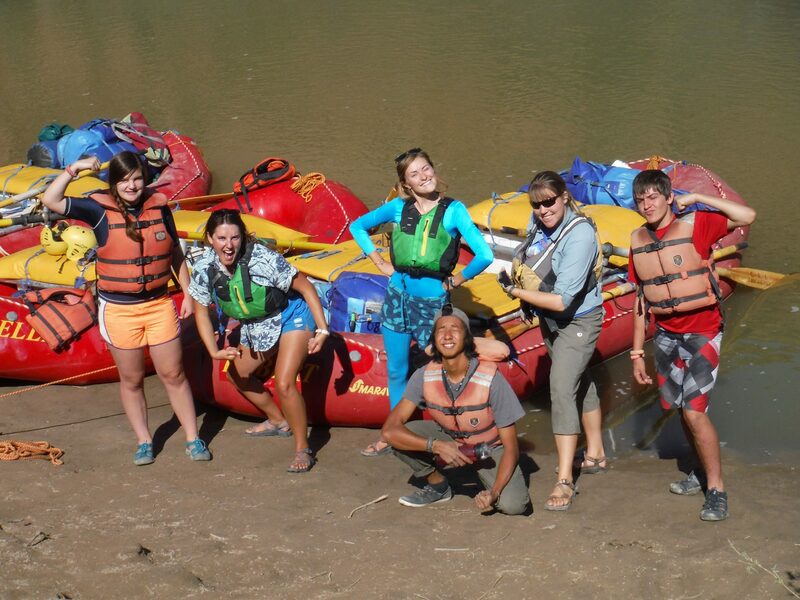 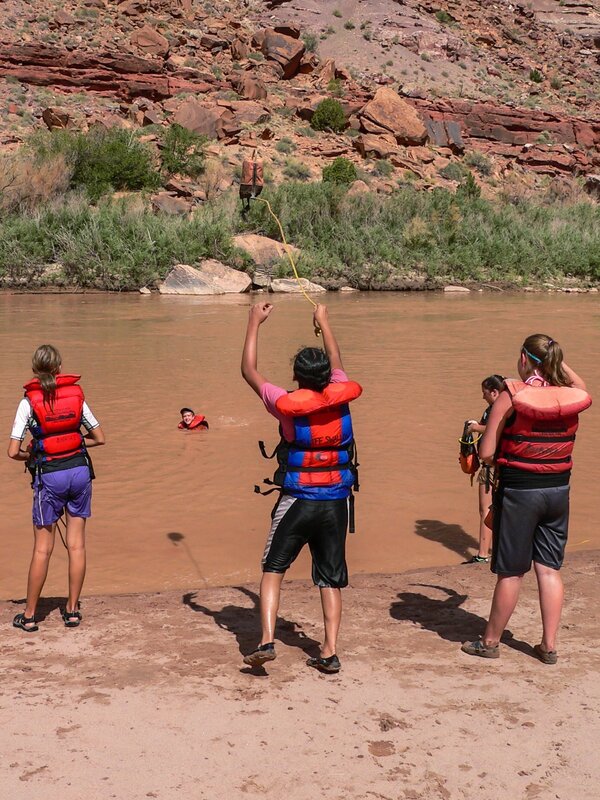 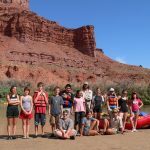 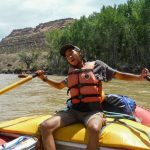 The Youth River Skills Camp is designed for young adults entering 7th – 9th grades (upcoming fall) who are interested in learning rafting and paddling techniques, guiding skills, and area natural history. 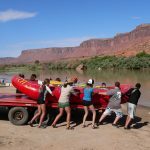 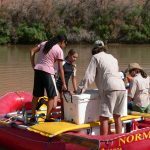 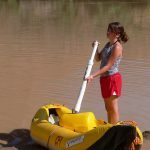 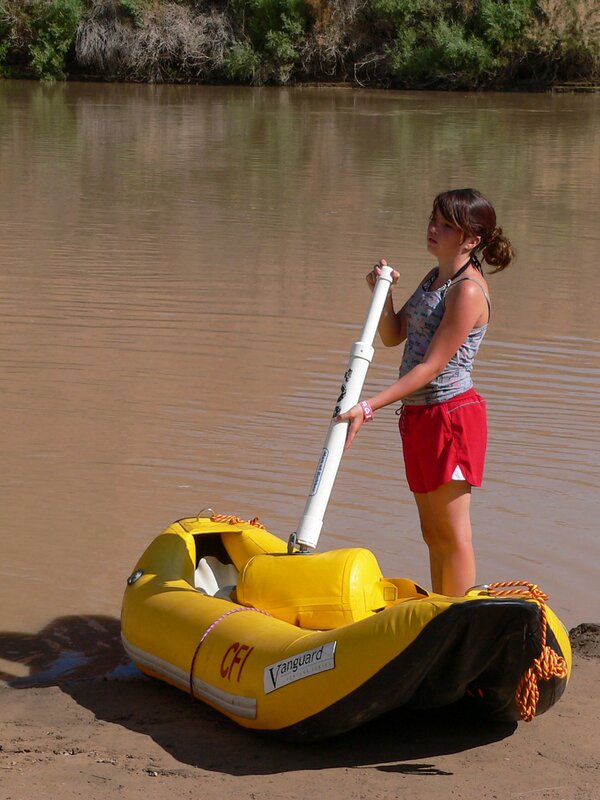 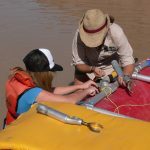 This two-night program utilizes paddle and oar-rig rafts, and inflatable kayaks or duckies from Dewey Bridge through the Fisher Towers (or Daily) section of the Colorado River. 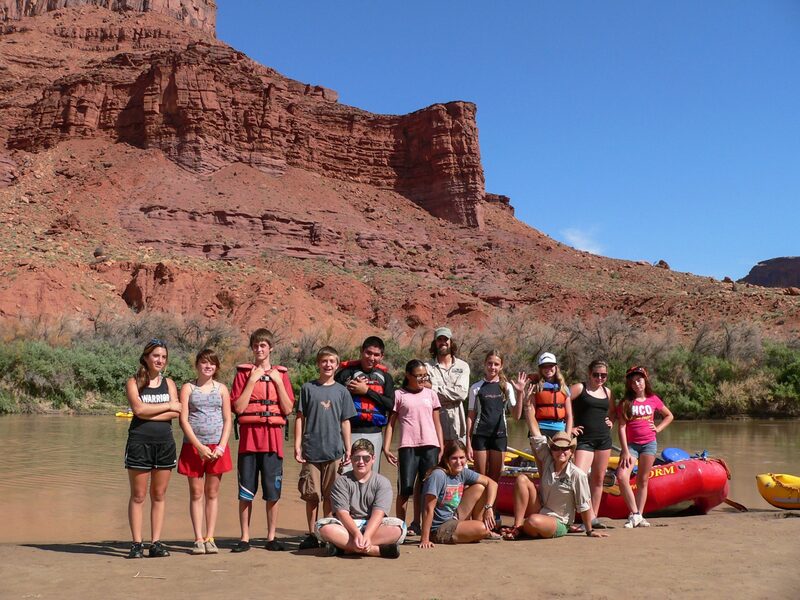 This trip is an introduction to river ecology, river dynamics, paddling and rowing techniques, equipment rigging, how to maneuver different types of boats, and important river safety and rescue methods. 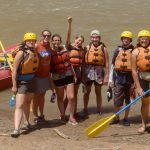 The valuable skills learned during this course will offer the experience needed for future river trips, outdoor leadership, or guide employment. 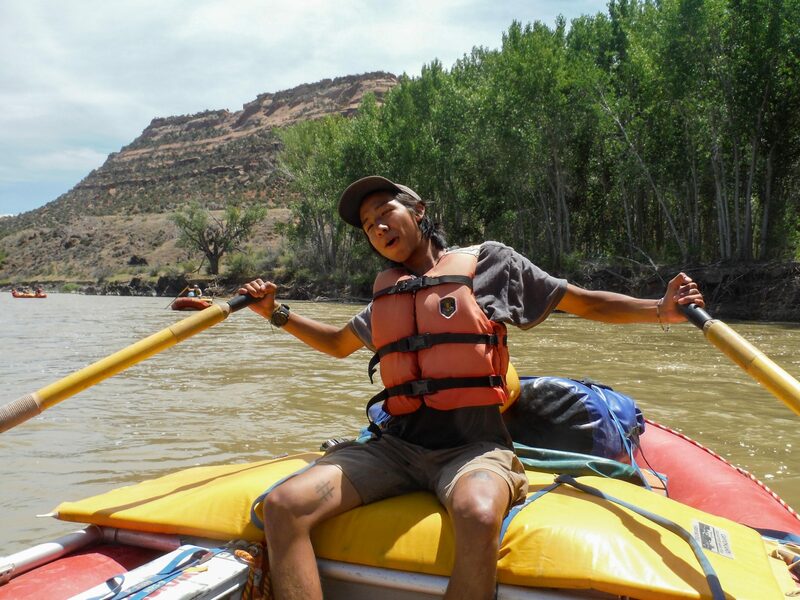 This stretch of river has mild class I rapids up to class II-III for an exciting challenge. 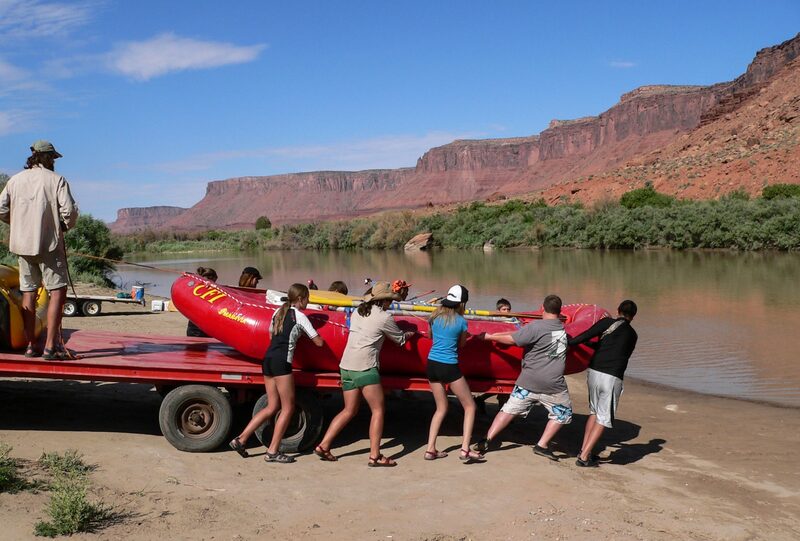 Let’s get out on the water and have some fun! 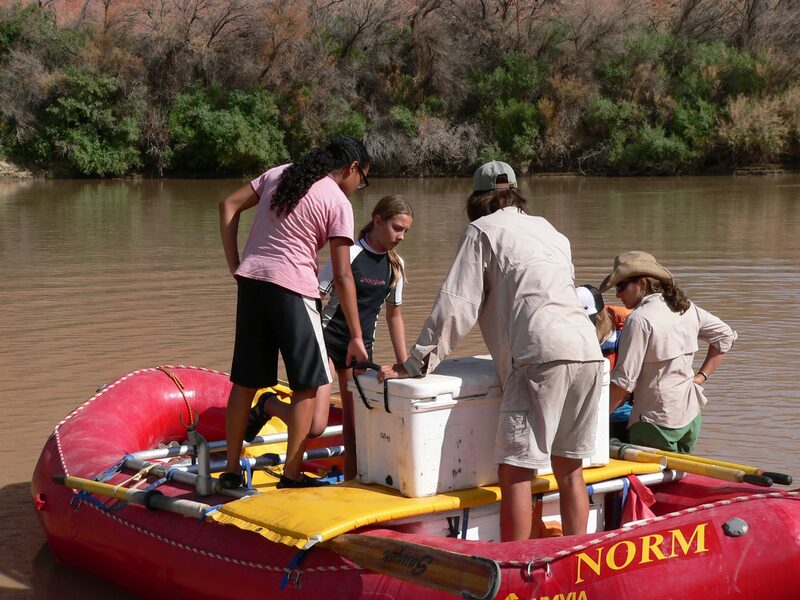 Canyonlands Field Institute is permitted and licensed to operate by federal and state agencies. 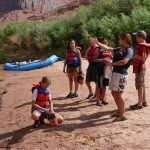 CFI staff have been trained in natural and cultural history of the Colorado Plateau, and have earned Utah guide licenses. 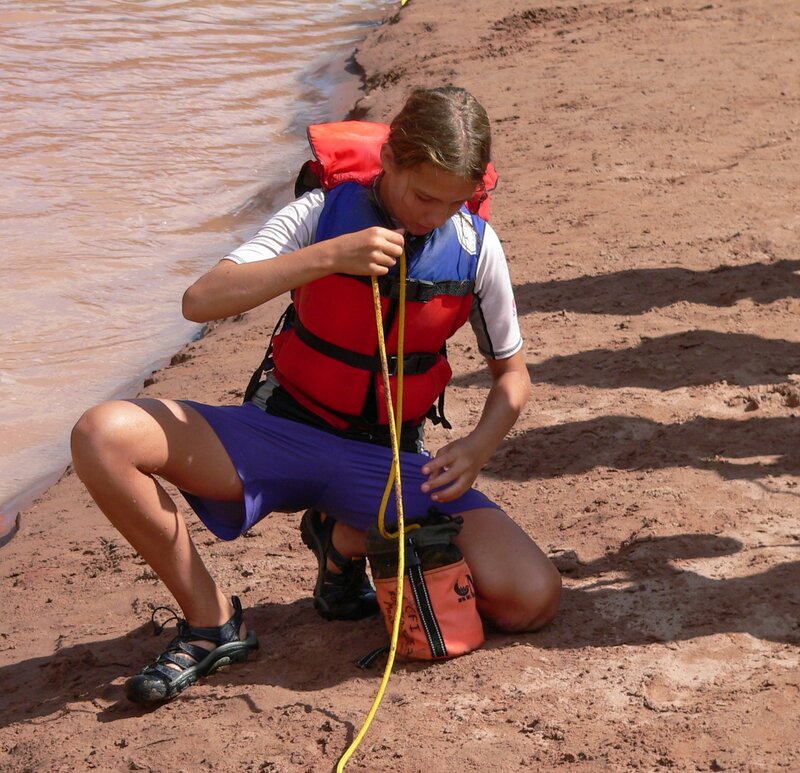 Additionally, instructors are certified in Wilderness First Aid and CPR. 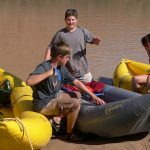 Two CFI Naturalist Guides, 21 or older, plus one teen Guide-in-Training will be with the group the entire time; all have educator clearances. 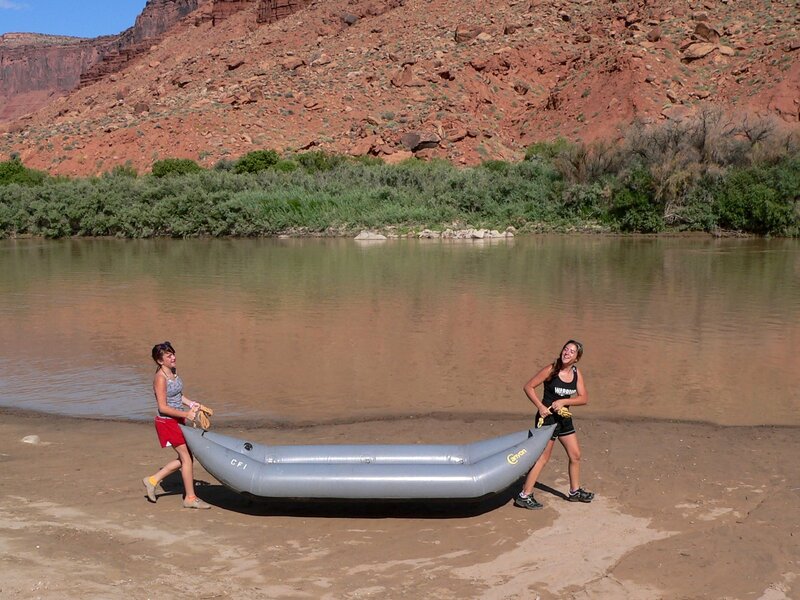 Your children will meet at our office in Moab at 8:30 A.M. where they will say goodbye and begin packing their stuff into waterproof dry bags that we provide. 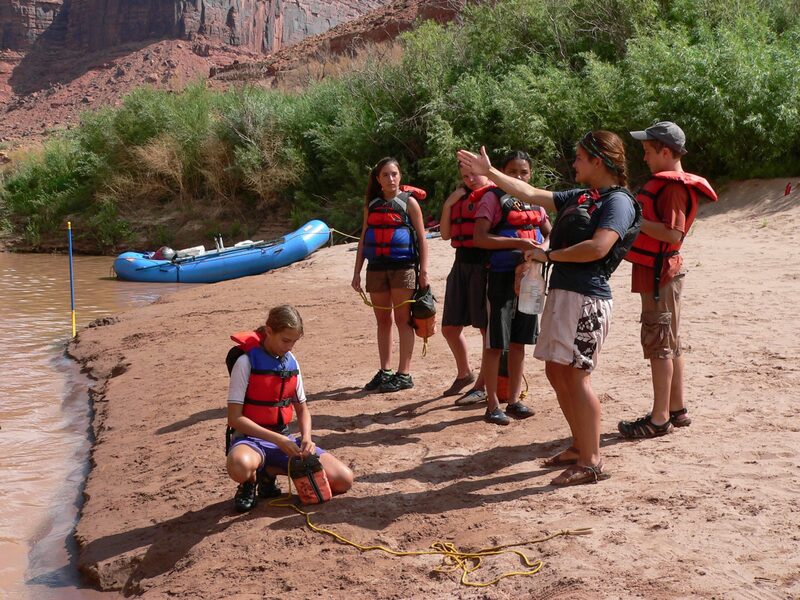 Excited to tell you about their week, your children will be ready to be picked up at our office at 4:30 P.M. 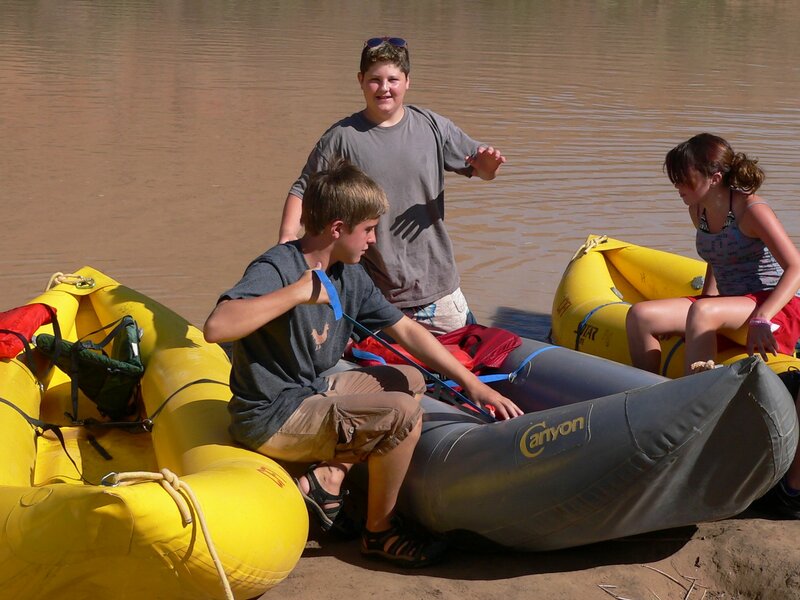 Please don’t arrive too early as we will be wrapping up as a group and saying goodbye to all of our new friends. 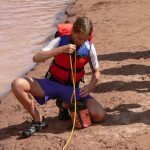 CFI needs written permission from a parent or guardian if the participant will be leaving the program with someone other than the participant’s parent or guardian after the trip. 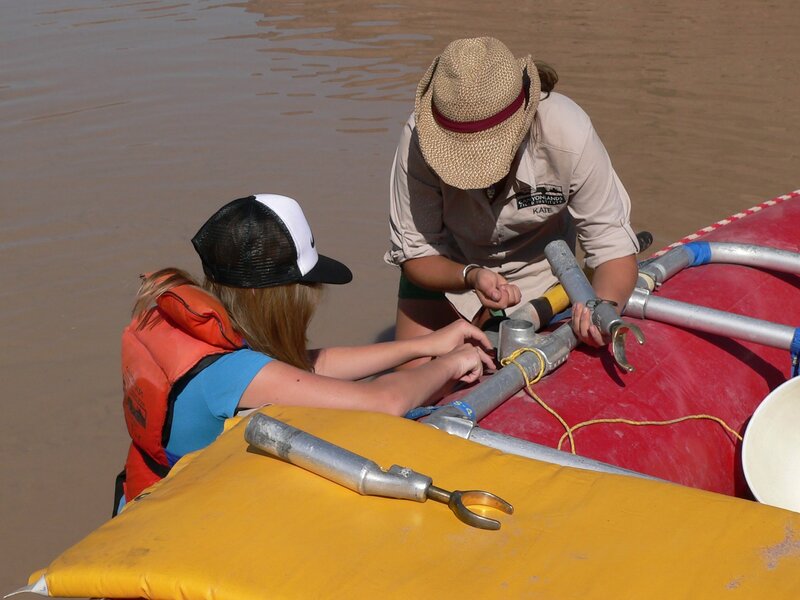 We offer additional CFI Scholarships that can be emailed to us or dropped off at our office. 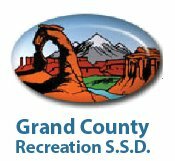 Additional scholarship assistance is available for qualifying families, please fill out the form linked below.